style is style: Shoe Lust. I'm not constantly in ripped tights. But the recent influx of grunge inspired clothes have sparked a sudden interest in all things early 90's, when I was but a wee one. Wouldn't they make all things girly just a touch more badass. Plus, me + white boots = infinitely good times. P.S. 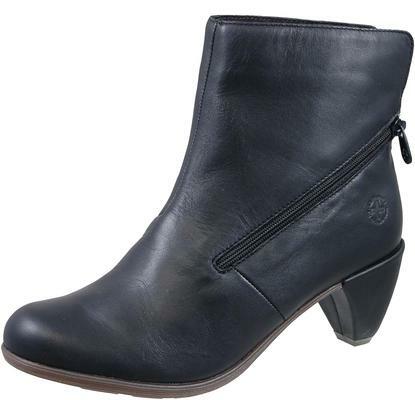 The last pair are the most perfect black ankle boots, non? I don't know how I survived without my white ones! I think you'd look awesome in them. 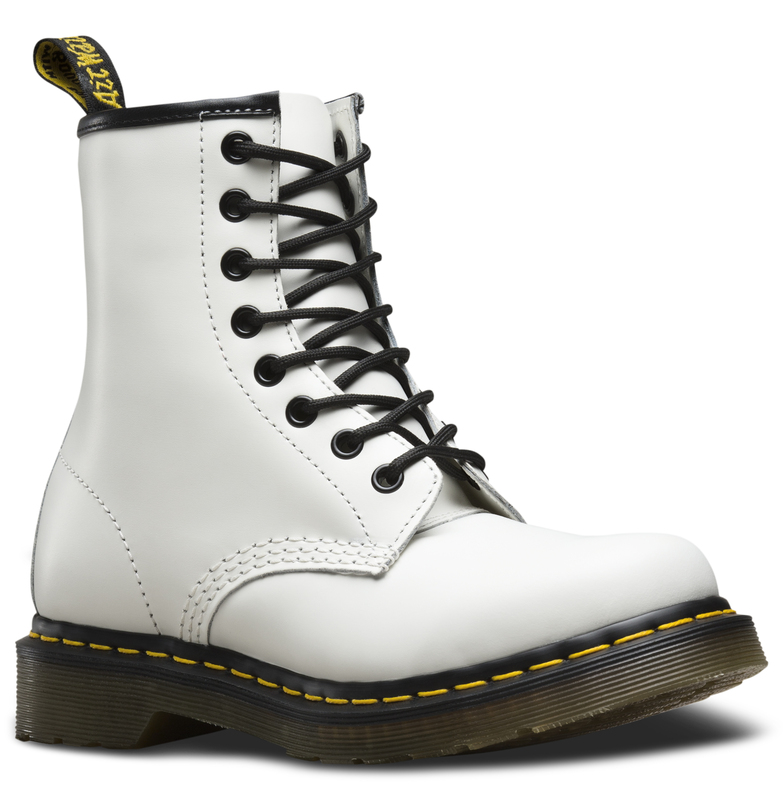 I can appreciate Docs, but I don't think I'd wear them. I was not so wee when they were cool before (grade nine? )and they were such a status symbol and only the rich kids had them. I had to settle for thrift store combat boots, and it all seemed very contrary to the spirit of grunge. The black ankle boots are delicious though!! 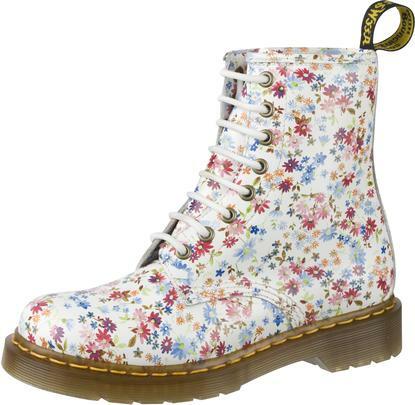 i bought a pair of doc martens while i was in london and i love them! i will certainly buy another pair soon. 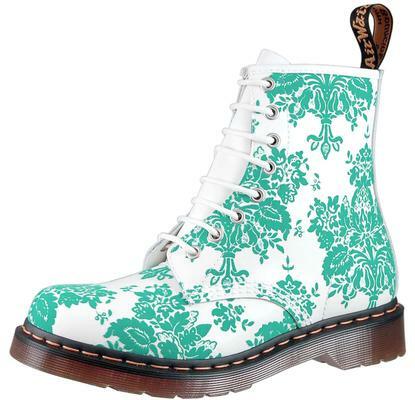 the ones with the turqouise floral design will be mine soon and they are on sale!! !